Imagine managing various sales documents for multiple geographically dispersed and always on the go sales teams and various business units? How do you do it fast, effectively and keep all these up to date? The Adecco Group is a world leader in human resources solutions. They are present in 60 countries across the world and only in France they have 9000 consultants in 1200 offices and branches specialising in various domains. And every day they need to access various sales presentations no matter of what type of device they use, their location and time available. All laboriously coordinated, prepared and shared by busy and content overloaded marketing and design teams. They understood how to meet needs of their mobile-first employees with an innovative sales tool. They chose a mobile app platform to create, distribute and manage their sales content, while providing tips and tricks to sell better. Using Rakuten Aquafadas technology, in only 3 weeks working without external developers, they created a first version of their own sales enablement app. The pilot project gained great results and was noticed by other branches internally. That’s why they decided to invest in their ‘sales weapon’ even more. It also created a perfect opportunity to adapt the tool and content inside, aligning to ever-so evolving Group business objectives and reps needs such as pre-meeting preparation. 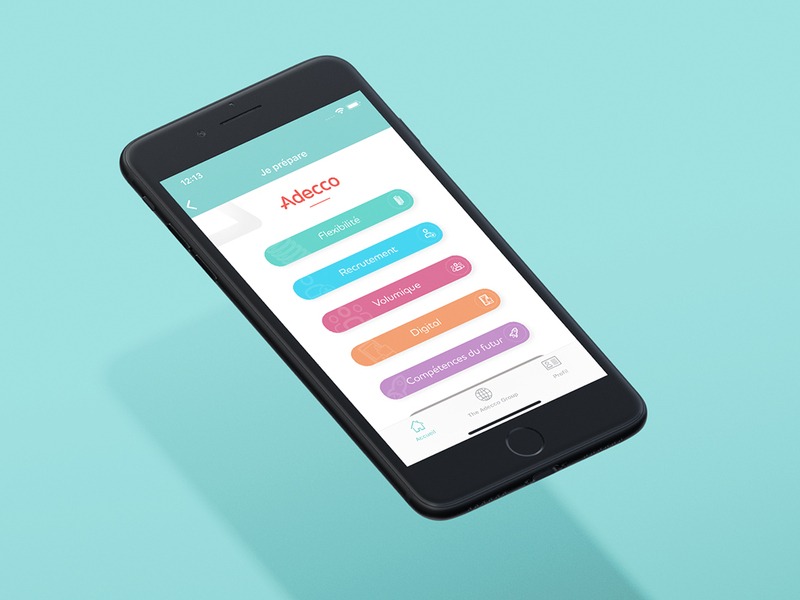 Using the same technology Next Gen app, they redesigned Adecco Essentiel in terms of app structure. The key modification included dividing materials into 2 scenarios: Prepare before a meeting + Present during the meeting. This was also combined with a feature of deeplinks to direct straight to information required, skipping unnecessary pages and clicks. The tool has also been further developed for additional device types. Previously only for smartphone and now also accessible for tablet and computer (horizontal and vertical view). Content went through overhaul too. Benefitting from the InDesign plugin, they created new, bespoke and rich, pitch winning sales demos and learning materials, on top of existing PDF based documents. From a technical point of view, the new feature of SAML connection 2.0 has been added too. All in order to allow sales team log in to numerous cloud apps using simply one username and password. 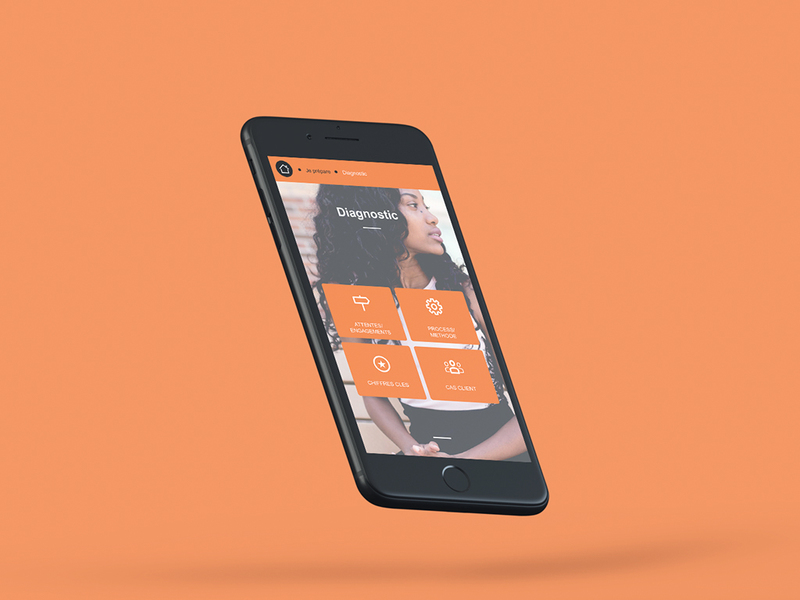 The app has been initially launched at the beginning of 2016. Reaction received and results driven created demand internally, resulting in additional business units requesting their own sections. Today there are 6 of them in total (Adecco France, Spring, Badenoch & Clark, Pontoon, Adecco Medical et Altedia). It started with 15 documents inside only and today the number reached over hundreds. Initially it was aimed at 1300 consultants and today it is facilitating meeting preparation and running for 2400 reps. It helps not only to run unbeatable sales pitches but also became a way to convey each individual branches message and promotion with high finish and super interactive demos, each branded accordingly to the branch look and feel.